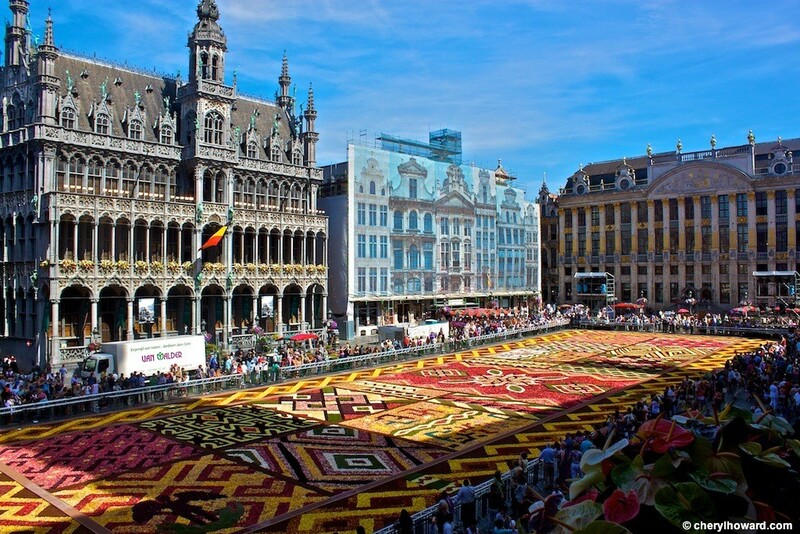 The Making Of The Floral Carpet In Brussels. You might think that going to see a flower carpet would be pretty boring. But when you feast your eyes on the thing, and really I mean the whole entire thing, you quickly realize how much work goes into the production of the carpet and into the event itself. 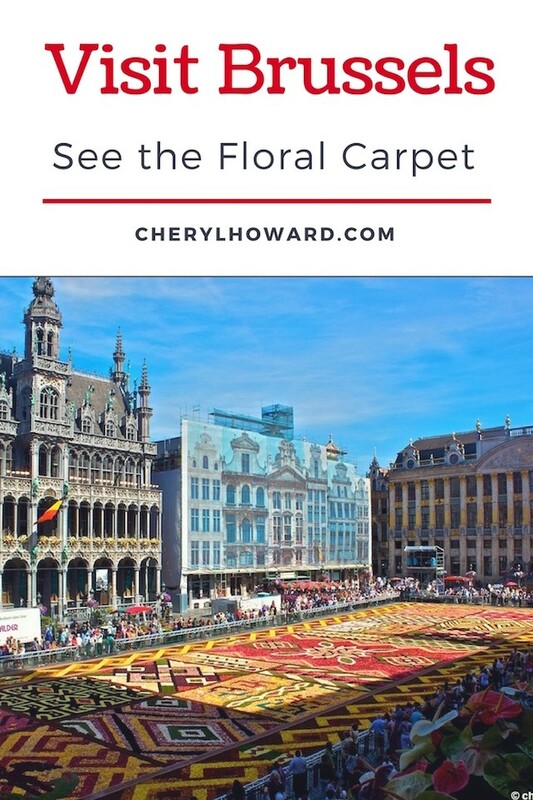 Every two years, the city of Brussels puts on a show like no other when they roll out a gigantic carpet of flowers measuring 1800 square meters in size! It’s true that you won’t find anything like this anywhere else in the world. 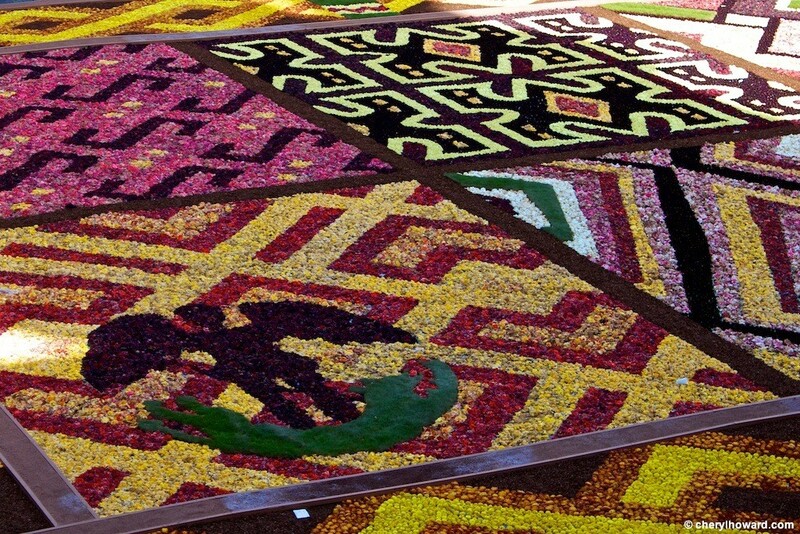 This year, a mind boggling 600,000 begonias were used to build the carpet of flowers paying tribute to African nations of Ethiopia, Congo, Nigeria, Botswana, and Cameroon. Even more unfathomable is knowing that it can take up to one year to plan a single carpet but that it only takes a team of 100 gardeners four hours to string the whole thing together. Running from August 14 – 19, 2012, more than 100,000 people came to view Brussels’ biggest tourist attraction at Grand Place and take part in a tradition celebrated since 1971. 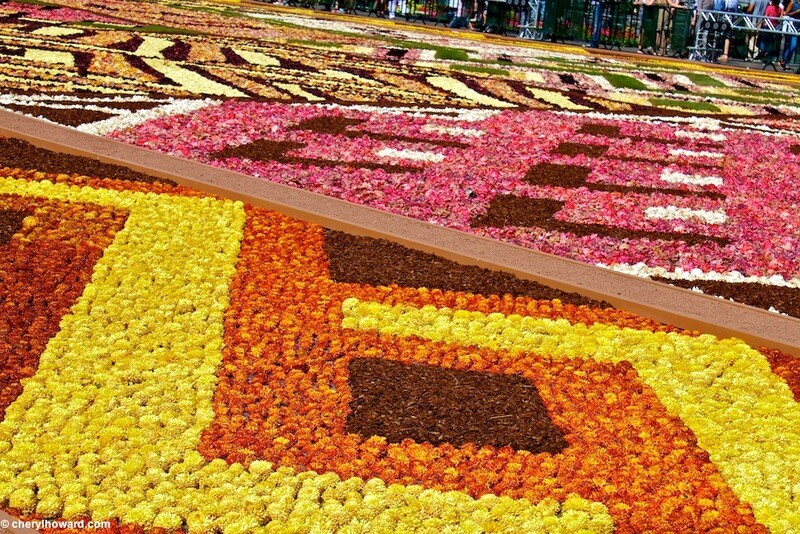 The floral carpet idea was originally developed by landscape architect E. Stautemans, who’d a passion for begonias and oddly enough developing floral carpets. 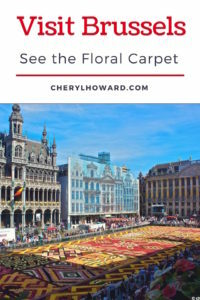 Tips – visit the floral carpet as early as possible during it’s brief exhibition to see it at it’s freshest and most beautiful. 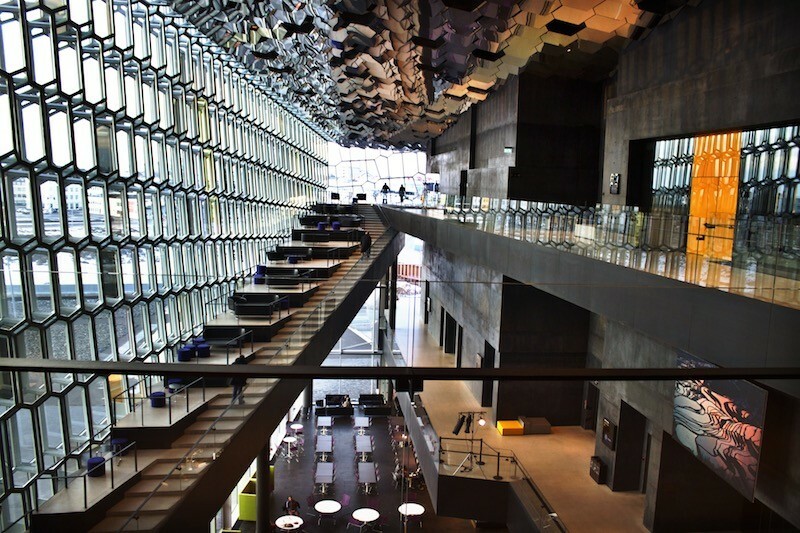 In fact, it’s best to visit on the opening night when a special presentation is held. 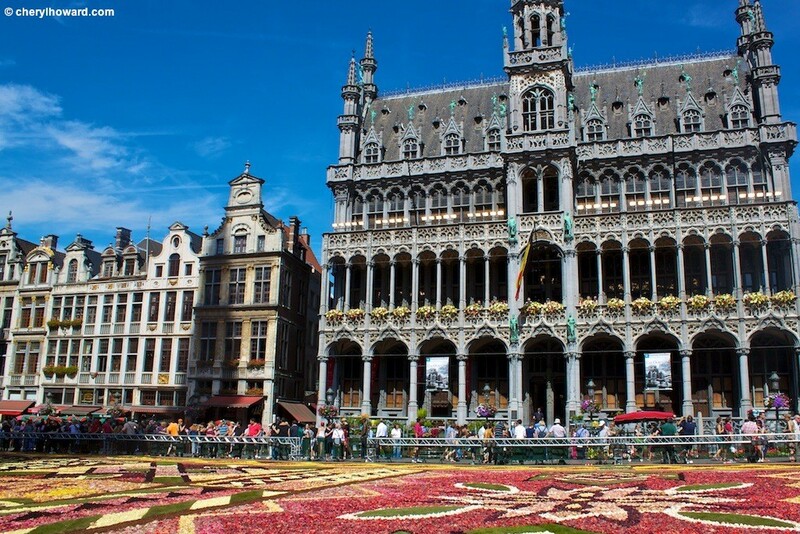 Otherwise, tour the town hall at Grand Place to get a panoramic view of the carpet (admission is approximately 5 euros). And stop by at night to view the flowers and the surroundings in a more romantic light. I feel incredibly lucky to have been able to see the floral carpet for myself, something I’d always dreamed of doing! 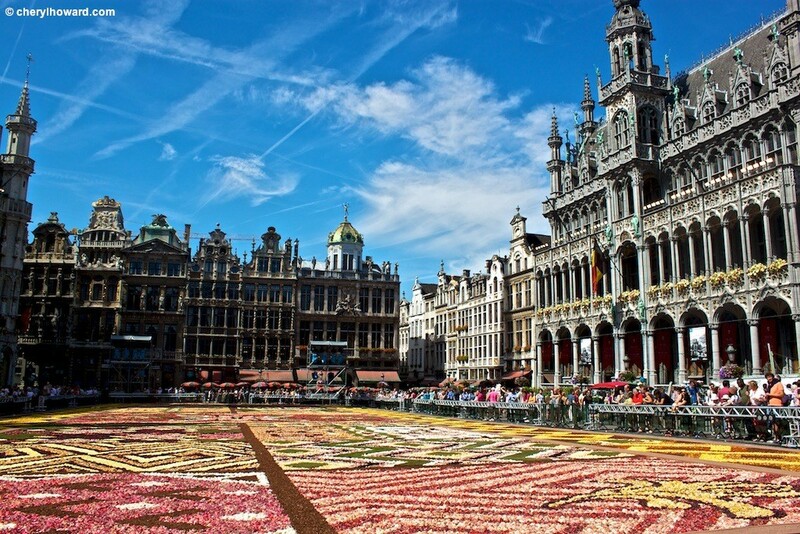 I’m quite tempted to make my way back to Brussels in the summer of 2014 when they roll out yet another new carpet of begonias. * Disclosure – My weekend stay in Brussels was complimentary, courtesy of Belgien Tourismus. Any opinions expressed are entirely my own. So I Moved To Berlin. Just How Did I Make Friends? This is so beautiful! I have only been to Antwerp and Bruges – have to get to Brussels sometime soon. omg i know how crowded the grote markt can be normally, so imagine how crowdy it must be now!! cool exhibition though! @Jade & Brock – It was super hot and crowded! Really loved seeing the carpet though as it really makes for one beautiful setting. I only wish I had seen it at night. Well, it looks extremely time consuming, but definitely quite spectacular! those shots are amazing, I’d love to be in Brussels during that time. Although I live in Belgium and just half an hour away from Brussels, I’ve actually never seen the carpet myself. @Sofie – Thank you so much! Hope you make it there to see for yourself. Cafe Popularna in Szczecin, Poland.